animal training | Dare Greatly! First there was Ice Cream and Chili. Now there is Muppet, her sister (Auntie), and Muppet’s kids (Fish and Chips). 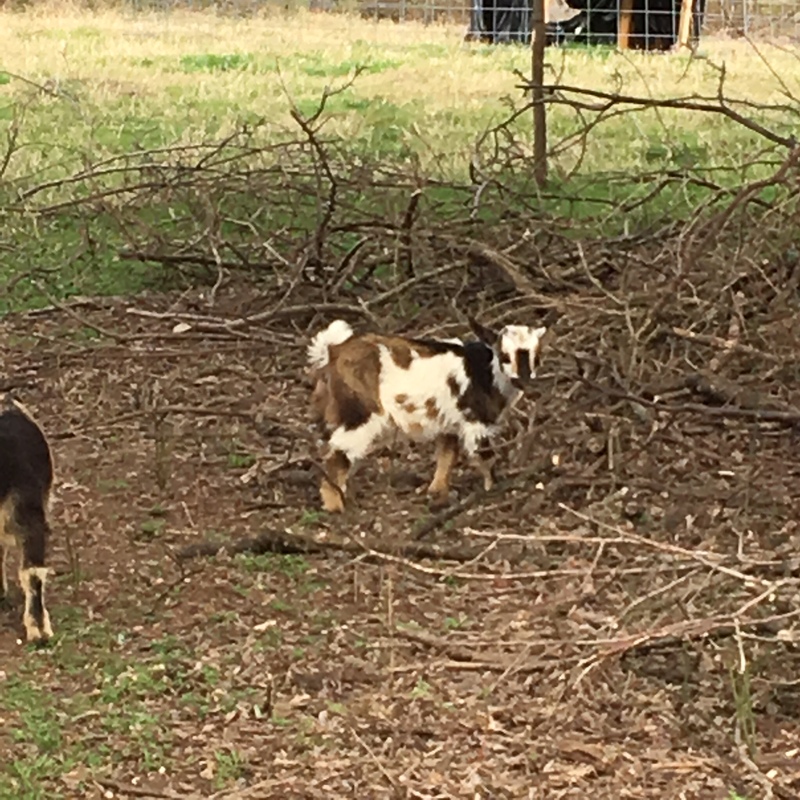 That’s right; four new goats have joined our little homestead. 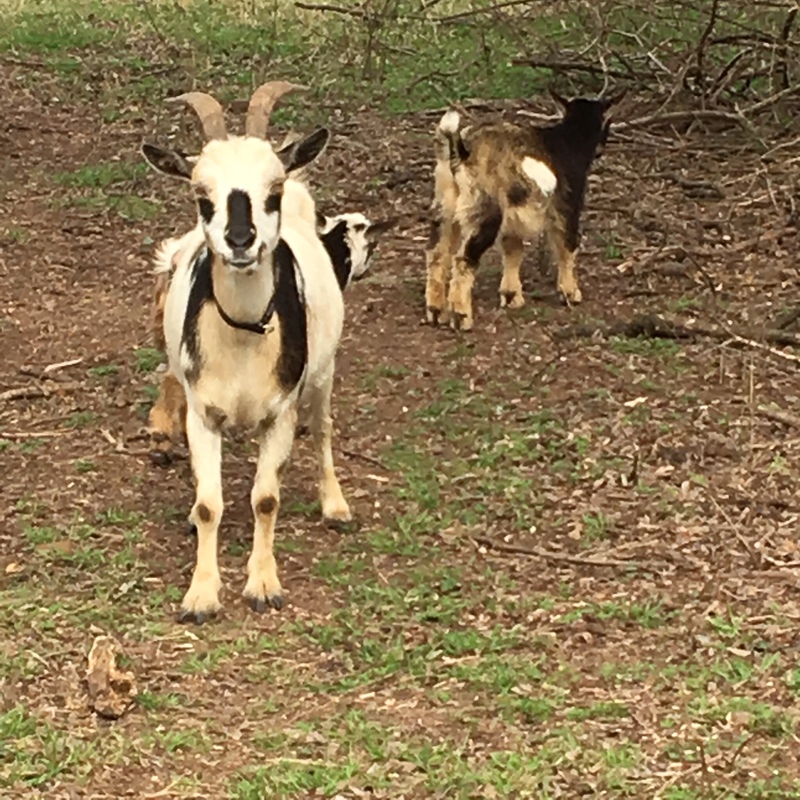 These are Nigerian Dwarf goats and have a fairly interesting history, which you can read about HERE! One of the benefits being that they can be bred all year, so that you can stagger the breedings, so that you have milk all year. Muppet and her babies, Fish (the brown facing away) and Chips (the one right behind her). A better shot of Chips, who is a complete sweetheart and about the size of a football on legs. 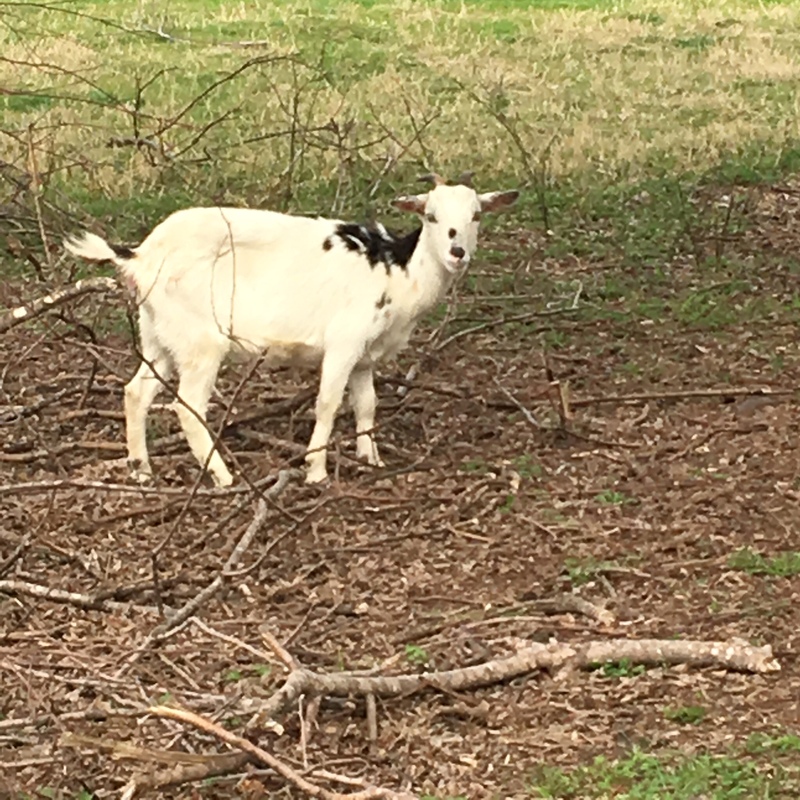 The extremely nice folks that we got the goats from kept Auntie’s doe, so I am now happily milking morning and evening. So far it has been a family event. CC and BG help and we’re all getting a kick out of it. Despite this being her first kid and never having been milked before, Auntie has been the soul of patience. BG has even gotten to milk her a little bit, which makes her four-year-old heart full to bursting. On a more practical note, Auntie’s milk tasted disgusting when I first started milking her. Her previous owners had her on dry pellets and hay; no grass, no real forage. My father had always told me that if you want sweet milk, feed sweet feed to your milker. His suggestion was corn, but I learned that sweet feed works very well indeed and isn’t all that expensive. I say not that expensive because Auntie gets literally a cup in the morning and a cup in the evening while she’s in the stanchion. This serves several purposes actually. Auntie is Muppet’s younger full sister. Her milk is now super sweet and delicious, less than five days later. She can’t wait to jump up onto the milking stanchion and stick her head in the catch. She comes running at a simple call. She has gone from having to corner her to catch her, to coming when she’s called and begging for pettings. Despite being a member of the rodeo team in high school, I have no desire to rodeo these days, especially first thing in the morning, usually before I’ve had coffee. I’ll pay the $10.99 for fifty pounds of sweet feed. Thanks! Posted by Dare Greatly on February 25, 2016 in H.S.H.